Ray King - This brigade was the third line of Lord Cutt's troops, but were the 2nd brigade to assault the village of Blenheim. 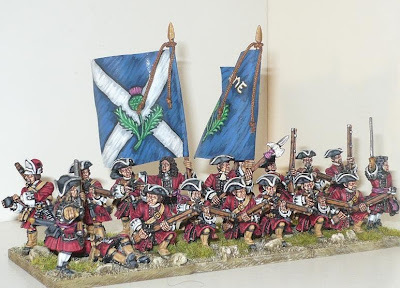 Ferguson's Regiment of Foot "The Cameronians"
Lt.Colonel Commanding Alex Livingstone (Wounded in Action). Raised in 1689 and in 1751 renamed the 26th Foot Regiment. Their 1704 campaign establishment was 40 officers & 692 men. 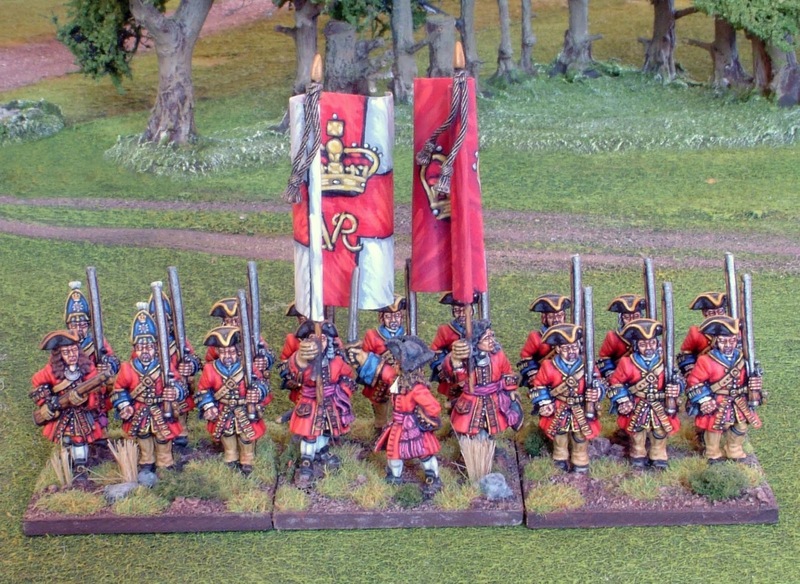 Painted by LoA forum member 'Me Paints Good". Raised in 1688 and in 1751 renamed the 16th Regiment of Foot. Their 1704 campaign establishment was 31 officers & 687 men. Raised in 1684 and in 1751 renamed the 18th Regiment of Foot "The Royal Irish"
Their 1704 campaign establishment was 36 officers & 591 men. 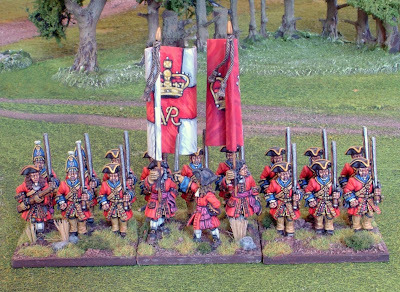 Raised in 1633 and in 1751 renamed the 1st Royal Scots Regiment of Foot. Their 1704 campaign establishment was 37 officers & 813 men. Raised in 1661 and their 1704 campaign establishment was 36 officers & 770 men. 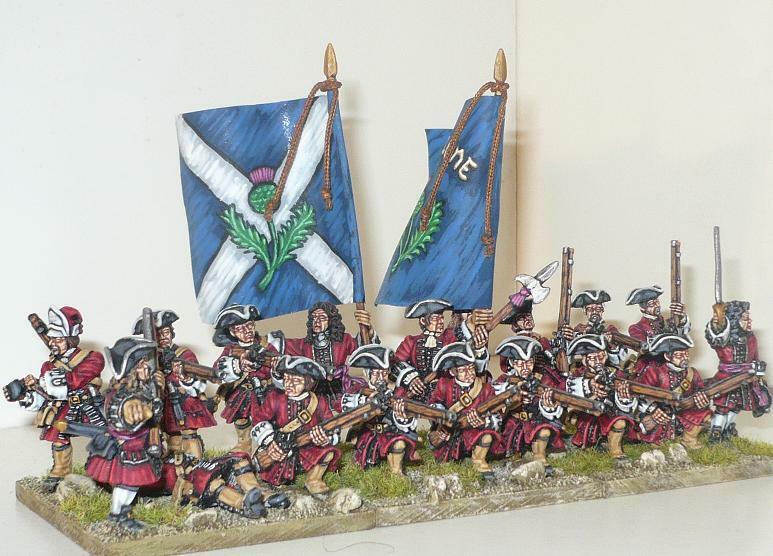 Painted by LoA forum member 'Me Paints Good'. You can find more about the Blenheim project on the Fighting Talk Forum. For a quick way to see all of Ray's collection, type 'Blenheim' in the search bar at the top of the page!